Nosappumisaki Lighthouse (納沙布岬灯台, nosappumisaki tōdai) is a lighthouse on Cape Nosappu in Nemuro, Hokkaidō, Japan. The lighthouse was one of those designed by Richard Henry Brunton who was hired by the government of Japan to help construct lighthouses at the beginning of the Meiji period to make Japan safe for foreign ships. The site is open to the public, and can be accessed by car or by public transportation. By public transportation, it is accessible by bus from Nemuro Station. 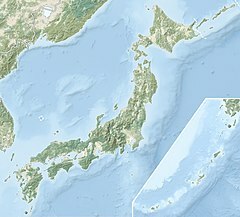 Wikimedia Commons has media related to Nosappumisaki Lighthouse. This page was last edited on 13 March 2017, at 14:09 (UTC).